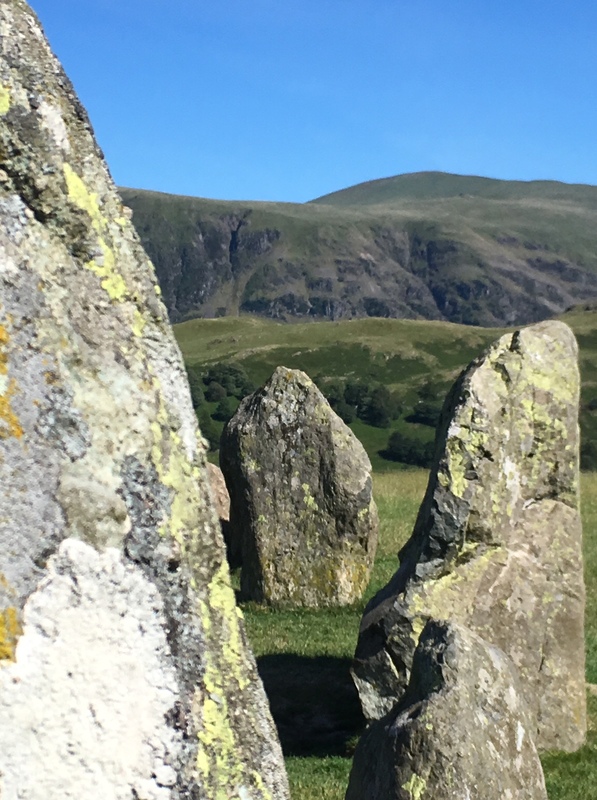 Castlerigg stone circle, Cumbria. Where we went after Woolfest. It’s the start of the season with freshy shorn fleece for sale, so I thought now is a good time to cover wool selection. It’s been a few years since I went on about wool sorting. To my surprise, ‘Woolsort 101’ is still one of the most visited posts on this blog, so I decided to revisit it – today with the emphasis on wool selection. I won’t repeat myself re. wool sorting here, so refer to the old post if you’re new to this. Info on what you’re actually looking for – things like, checking for soundness, etc, are there. Bassenthwaite Lake, where we had lunch after Woolfest. Woolfest on Friday. I came back with three fleeces – all to scour, but one maybe to overdye. All three were grey. One, a very, very pale grey Shetland I bought from Adelaide Walker. I have had many Shetland fleeces over the years, but this is one of the nicest. I unrolled it yesterday and it turned out to be very well skirted and well rolled. Then a Ryeland/Shetland cross, from a sheep called Rosie, who belongs to Maureen Brittan in Stafforshire – thanks farmer, I always love to know the sheep’s name and so rarely do but of course, most of them are just Mrs Ewe,or Sheep 506, as farm stock they won’t often have names – we punters like it, though. 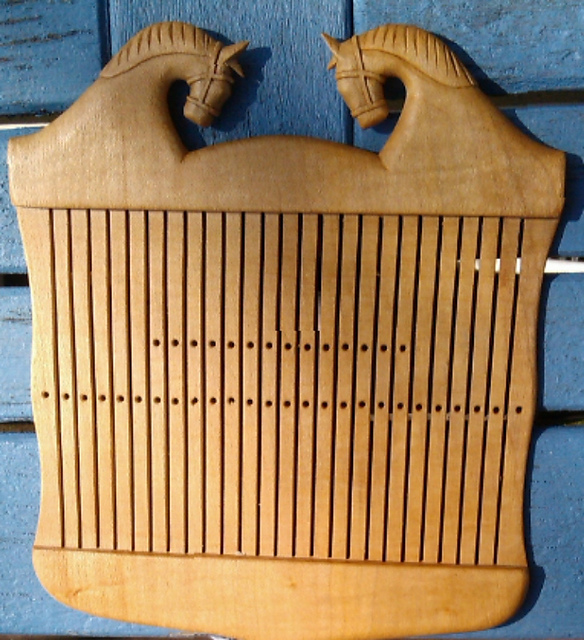 And finally, a Ryeland from Vickie Haddock, near Penrith in Cumbria. I wanted coloured short wools. 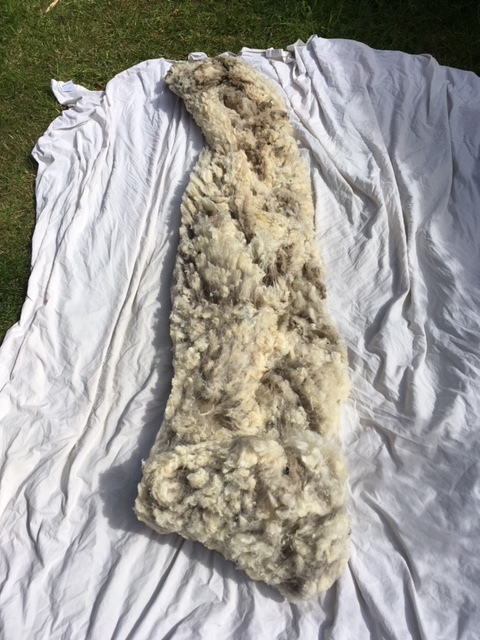 Although there weren’t even close to the number of top quality fleeces at Woolfest, as you can find at Masham every year – I swooped in early Friday morning, to get the best possible. That’s another good tip. If you want raw wool, try and get to the first day of a two day show. Another pointer is, go with a firm idea of what you want/need to be prepared to be swayed if you see something unusual/fabulous. Ever since someone gave me some Wensleydale/Shetland cross, I have been on the hunt for what I call Weird Cross Fleece. If I see WCF and it is sound – I pounce. Incidentally – that’s a point. An agricultural show where farmers are showing their very best stock, is a good place to get great fleeces. The show winning ones are, of course, premium but not always spoken for. 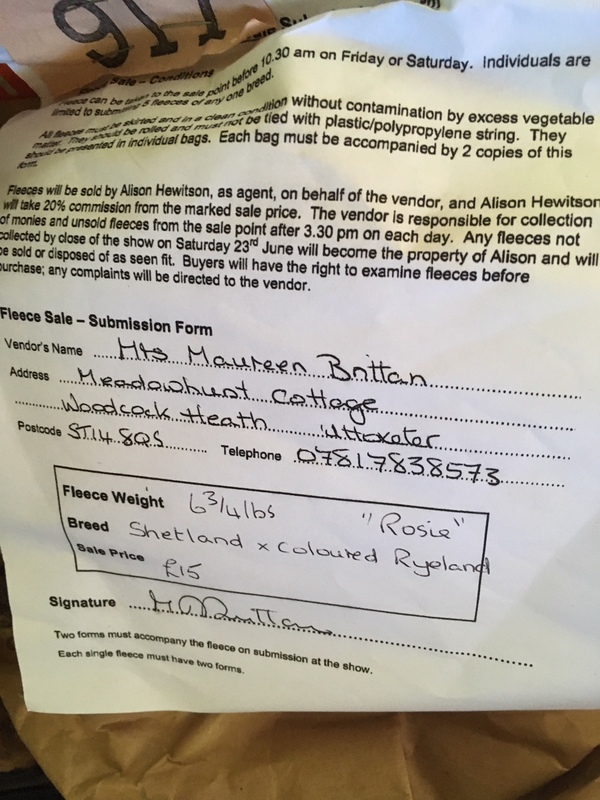 I did, only once, manage to get a Best in Show fleece from Masham Sheep Fair(Cheviot). We met some woolly pals at Woolfest, including the wonderful Ellie from the Doulton Flock of Border Leicesters. I’ll be posting later in the year when Ellie has the lambs sheared, as we hope to visit and pick out a fleece. I’ve never chosen one ‘on the hoof’ so it will be interesting to see if Ellie thinks I choose the best one! So, look out for that post. For now, here is Sam the Ram Lamb. His mum didn’t want to be in the shot. I am not a fan of longwools, usually – because I can’t comb wool, and don’t have the patience to learn when I can buy commercial tops. I love the way they look (lustre!) and spin, and I really love the way they dye; just don’t want to process them. But have recently fallen down the braid-weaving rabbit-hole, which I do around every few years, so want to spin something that will weave up nice braids. Incidentally, met the Braid Society at Woolfest and now intend to join. What a lovely, friendly group of people. Which is the other point – these days it is easy to buy wool in person. There are wool shows popping up everywhere. (I remember when it was all fields round here). 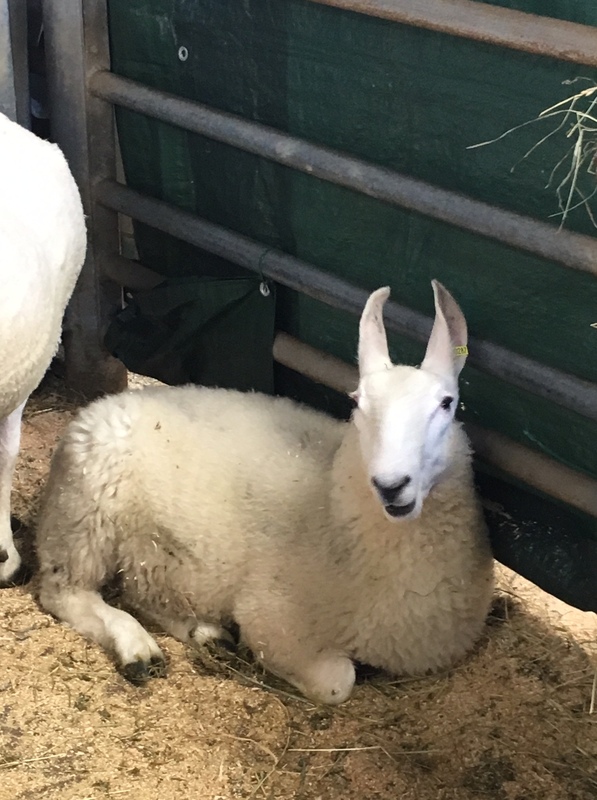 There are agricultural shows – and if you’re a spinner who has never got to one – a big recommend. The Rare Breeds Survival Trust sell fleece and of course, many local yarn stores now also carry fibre. Some traders act as sort of clearing houses to deal with nice fibre that would otherwise be unsold, and your humble mule, cross or meat sheep may also occasionally have a lovely fleece that shouldn’t be overlooked. When I started spinning in 1984, all we had was the British Wool Marketing Board. You bought sight unseen from a narrow list of sheep breeds’ wool. I was extremely, unusually lucky almost every time. My first fleece was a Cheviot and, looking back, I now think it must have been great quality. I probably only ever had a slightly dodgy (as in kempy, and old looking wool) fleece once and that was a Jacobs, which is notoriously inconsistent, anyway. I still buy and love Cheviot today. Although Ryeland, which we couldn’t get easily then, is now probably my go-to shortwool, along with a local flock’s Norfolk Horn. Here’s something shocking. In 1984, we’d pay around a fiver for a fleece. You can still get them for six quid or so, depending on the wool and who is selling. I still frequently pay even less than five pounds, if I buy a few at once. Now I rarely buy sight unseen. 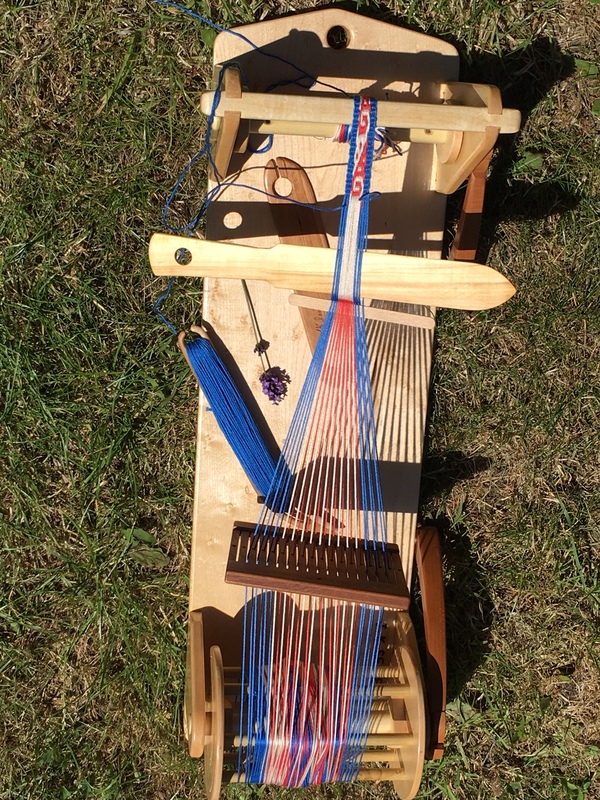 I made that mistake a couple of months back as I needed some longwool for braid weaving and didn’t want to wait for Woolfest or the British Wool Show. So I bought from a farmer who ended up taking almost a month to send me the wool, only after I chased it up a couple of times by which time I might as well have waited for Woolfest. And, if I’m honest, comparing the wool I bought sight unseen to the fleeces at Woolfest from the same breed – Lincoln longwool – I wish I hadn’t bothered. Mine is flat, lumpen, not crimpy like the ones I saw and also got some straw which as VM goes in fleece, is one of the easier things to deal with – but at that price, I would rather not bother. I’m still on the lookout for some top end Lincoln longwool – as I’ve coveted it ever since we did a workshop/talk at the South Lincolnshire Guild, a few months back – on the way there, we fell in love with the landscape of South Lincs and I’d love some wool to remember it by! Which brings me to the next point re. wool selection. Go to shows and even if you’re not buying; educate yourself. 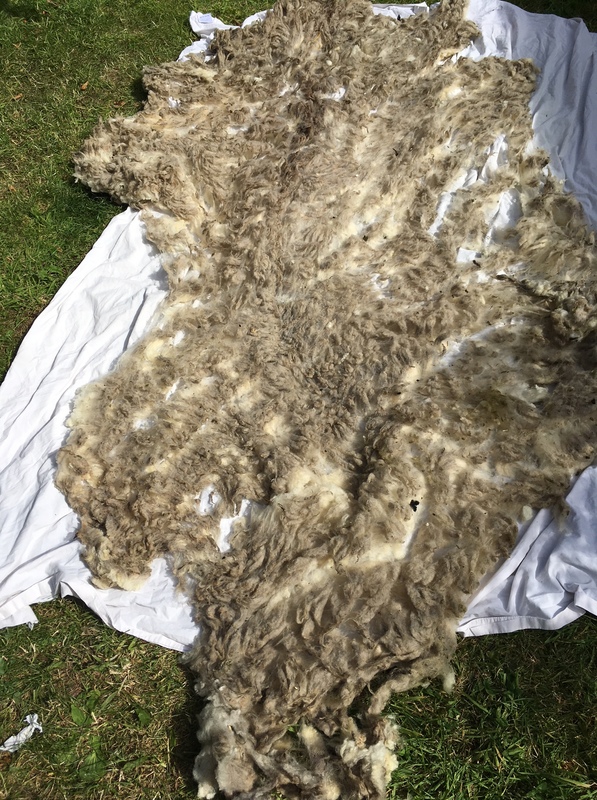 Use the opportunity of loads of fleeces in a small space, to learn about them, compare and contrast and just soak up all the info you can from simply looking and touching the fibre. Vendor’s label on one of the fleeces I bought. Rosie’s fleece! Most of the wool we sell is very local to us so environmentally sound. But at a wool show, we can buy from further afield. Take notes or better still, sneaky photos. Also, record what you buy so you can remember later. Sounds obvious but I have been doing this stuff for years and still fall down on that one. 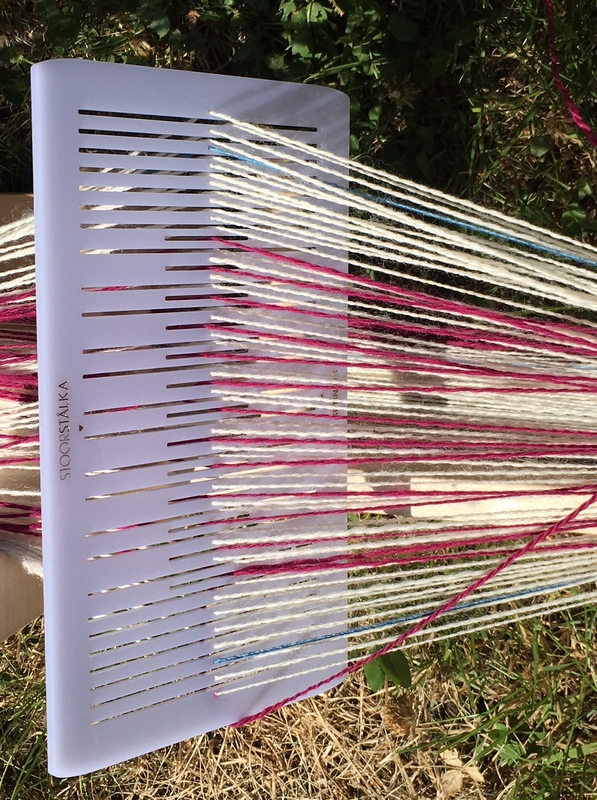 Impromptu wool drying rack. Light enough to cart round the garden and move to sun spot. 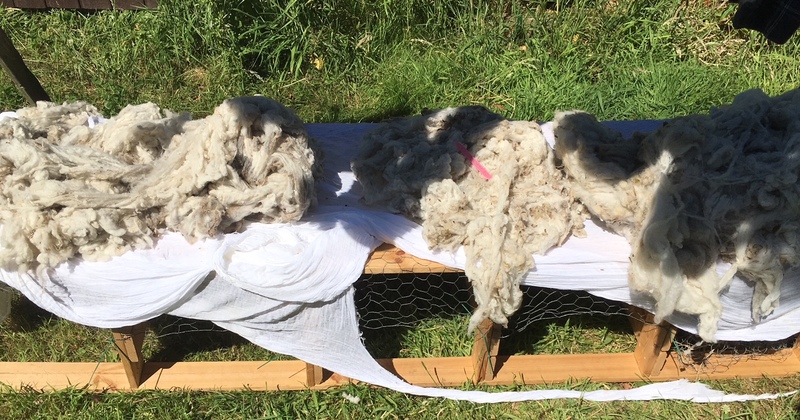 Sunlight kills some pathogens on wool. All our wool is dried in the sunlight. Yesterday I washed the Shetland from Adelaide Walker. I use a secondhand little plastic twin tub, meant for caravans and run an extension cable out into the garden which means I only wool wash on sunny days. It’s adequate but I think I need something bigger and better, like a ‘proper’ old twin tub – soon! 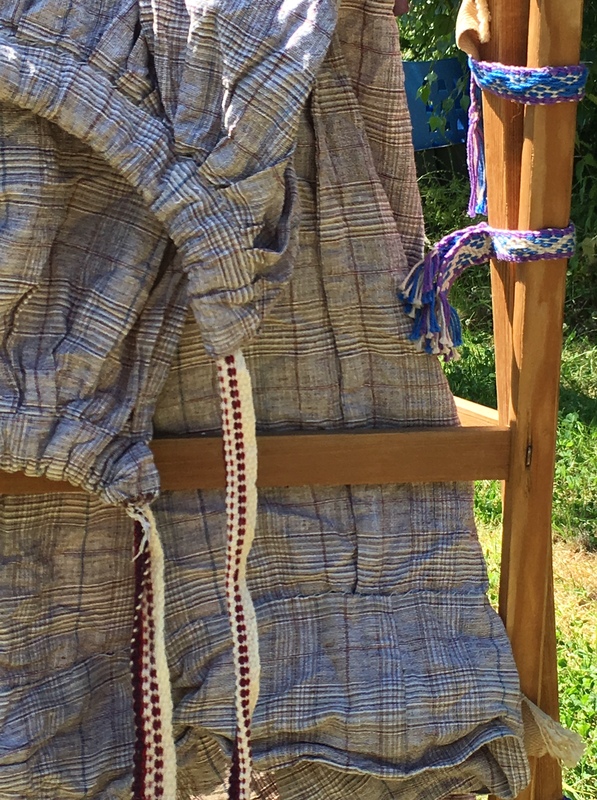 Then we made a new, impromptu fleece drying stand as fleece prefers to dry with its weight supported. Leftover chicken wire cable tied to an old shelving unit, did the trick. Not pretty but it works. Last tip on wool selection… if someone is unrolling a fleece to inspect it – watch them. Or rather, look at the wool. 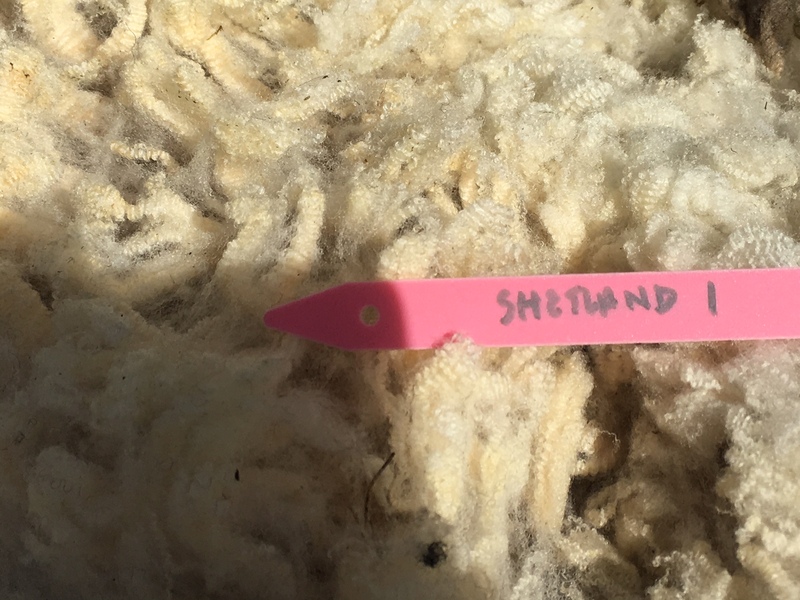 At Masham, the other year, I had an interesting experience, as I was after a certain colour Shetland, and there weren’t many left by the time I got to the fleece sale tent. A woman pipped me to a fleece I’d have liked. I watched her unroll it to inspect, lurking just in case she didn’t want it – which, as I watched her unroll it, I realised wasn’t likely as it was a stunning looking fleece. It looked fine; like lace curtains letting the light through when she held it up to the light – exactly what you’d want to see. And even from a few metres away, I could tell it was (if it had no breaks and wasn’t funky or something) a very, very nice fleece indeed. She unrolled it, inspected it, then pulled a face… and put it back. I had a quick check for soundness but could see it was one of the nicest Shetlands I’ve seen… Reader, I bought it. Not everyone knows what they’re doing – but you can. 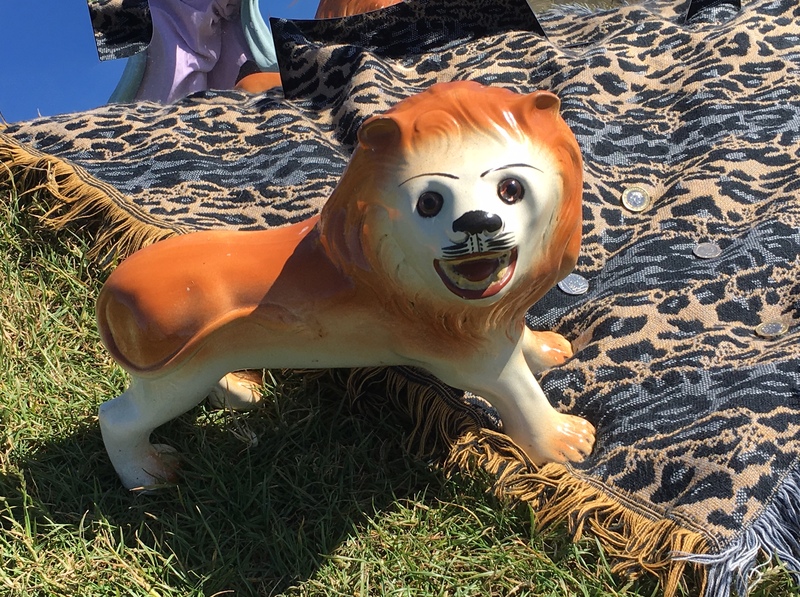 Leo the Lion, a solstice visitor to Castlerigg stone circle. He has a shrine!